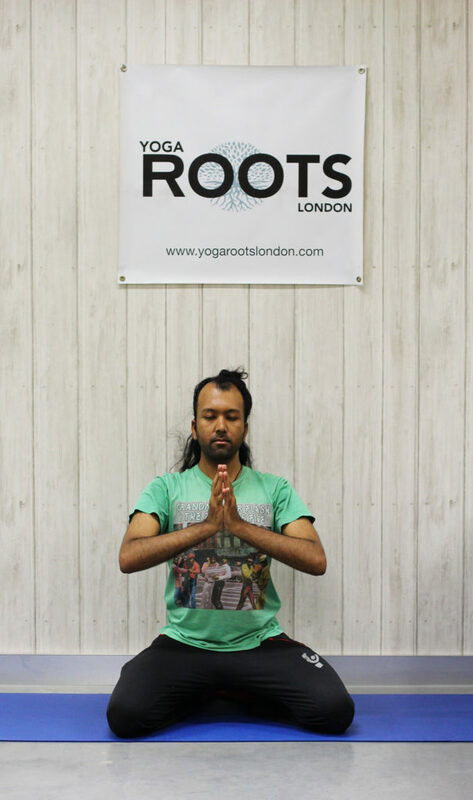 Recently, I visited Yoga Roots London to try my first Yin Yoga class! I’d only ever casually tried a few Yin Yoga postures at home before, and I really enjoyed the way they opened and stretched my body. I’d been desperate to try a Yin class for so long before now, so when Yoga Roots invited me to one of their classes I was so grateful for the opportunity! The Yin class I tried was in their studio at Westbourne Studios. Yoga Roots was founded by Dirish Shaktidas and Imalia Sullivan, with the aim of offering people a quality yoga service in a friendly, inviting, and earthy environment. Their classes bring the opportunity for people to really nourish their minds, bodies and souls, by using teachers with deep knowledge of their practices, to teach with true passion and dedication. Asides from Yin Yoga, they also provide Flow Yoga, Warrior Workouts and Private Classes, so you can find which practice really suits you. How could I resist? The mixture of this with the intense, fiery Kundalini Yoga that I already practice, just sounded like the ideal combination and balance of yoga for me. My class was led by Dirish, a teacher who has 10 years of experience doing Yoga and Meditation, and is a qualified teacher in Yin Yoga, Shakti Dance and Meditation. The class was at 7 o’clock in the evening, which was the ideal time of day for me to practice yin yoga. My body is far more open in the evenings, so this really helped my body to stretch, and it also gave me the perfect opportunity to wind down my mind from the day, and relax my body before going to sleep. The room was very peaceful with subtle lighting, which created a lovely, calming environment. We began our practice with 5 minutes of breathing exercises, which were then followed by a sequence of moves, which were held for between 3-5 minutes. The postures ranged from Supported Half Frog, to Butterfly and Happy Baby. At first, I really struggled with holding the postures for so long. I could really feel my mind and body’s resistance to pushing through its barriers, by staying still and holding the pose. It was amazing how much I really had to focus my mind to stay calm, and keep breathing into the pose so that I could hold it for the full length of time. Usually, in Kundalini Yoga, I hold the postures for the same amount of time, but as I am more used to the ways that Kundalini moves push my body, I can normally manage to quiet my mind simply throughout the practice. However, as the Yin Yoga was in a much quieter, still environment, with a slower paced practice, I really enjoyed the challenge of focusing my mind in a different way, so that my body could sustain the poses throughout the class. It was such an incredible experience, and it really helped me to learn more about my body. After we had finished our sequence of postures, the class ended with a Gong Meditation. Gong Baths and Meditations are one of my favourite things in life to experience, and I actually find them quite difficult to explain. Every Gong experience I’ve had has been completely different, but this one was particularly amazing. As soon as it began, I could really notice its effects on me. 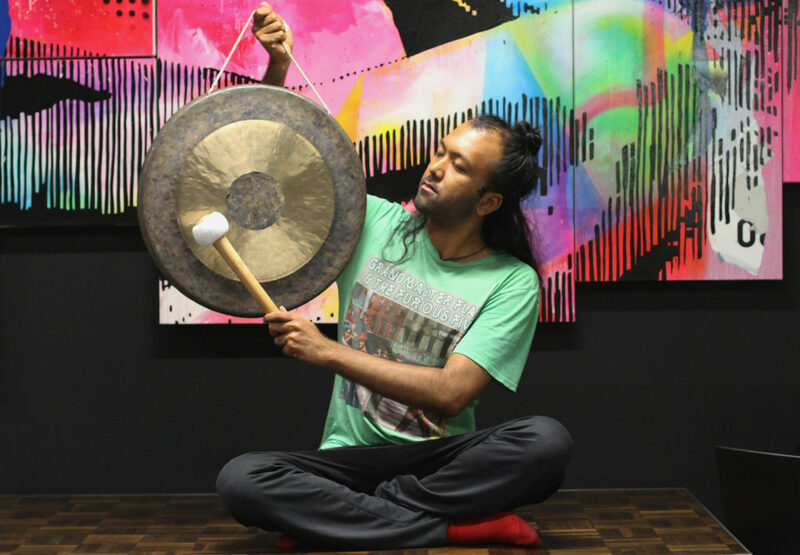 The vibrations of the gong sent me into the deepest sense of sleep I’ve ever had. I’ve never fallen asleep during a gong before, as I usually just drift into a meditative state. But during this gong, I was completely wiped out – I couldn’t notice a thing. It was incredible. It even took three attempts for Dirish to wake me back up afterwards… after the rest of the class had already left and gone home! I really couldn’t believe just how powerful the gong was. I was so grateful for the experience, and I felt so renewed and refreshed afterwards. Yin yoga sounds the wonderful way to meditate. Glad you could attend Yin Yoga class and had an amazing experience. It’s amazing! I hope you enjoy it! It was amazing! I hope you find a studio near you soon! I hadn’t ever heard of Yin Yoga till I read your post – so interesting about it’s ultimate purpose. Thanks for teaching me something new Harriett – so glad you got to attend this class. I haven’t done this type of yoga before, but I am trying to meditate more, because it really helps me to relax during pregnancy. I’ve never heard of yin yoga before, but it sounds wonderful, Harriet!! Love that the essence is surrender! I absolutely must find a class near me! Thanks for sharing girlfriend! Cheers! I love yoga and this class seems like a worth attending! I’d love to learn more about yin yoga!